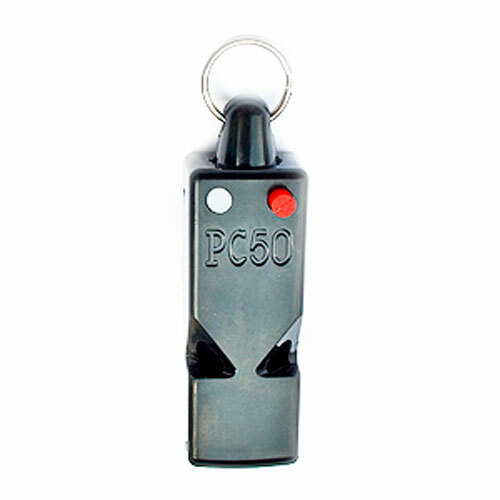 This PC50 whistle is an easy to use, all in one Possession Control Whistle. A patented whistle that uses two raised "snap & click" buttons that are at eye level and color coded for the home and away teams. These buttons give the official a clear view of which team has possession therefore eliminating any confusion for the next possession call. For the same whistle with a mouth guard, it is available under item Basketball Possession Control Whistle w/mouth guard wp-MG50B/W Click here to see more info.